Are you tired of scratching your head and wasting money and effort trying to help your teams be more strengths-focused? Recruit the right people quickly into the roles your workplace needs to fill and improve team diversity and effectiveness in the process? Help your leaders to be more strengths-focused so they can confidently, willingly and consistently engage in the processes that will bring out the best in their people? Give your teams everything they need to be able to map and fuse their strengths together, so they can improve their levels of productivity, turnover and customer satisfaction? Empower each staff member to take responsibility for crafting more of their day-to-day tasks around their strengths whilst delivering what their team requires? If this is the kind of difference you want to be making in your workplace, then our Complete Strengths Leader’s Toolbox will give you everything you need at the click of a button. 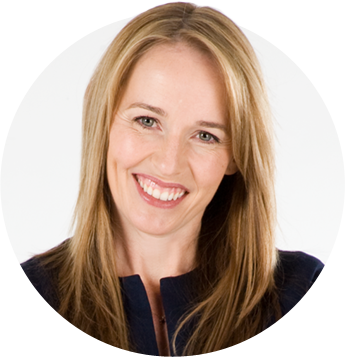 "Michelle is one of the world's leaders in designing and implementing positive psychology interventions to workplaces." Here’s Why You Can Trust Us. When I first stumbled into the research on taking a strengths-focused approach to people’s work, I felt like it was love at first sight. As a leader, I had often struggled to bring out the best in my team, no matter how diligently and firmly I pointed out their weaknesses and explained what they needed to fix. I knew from experience that most of us come away from conversations like this feeling frustrated and fed up that our bosses don’t appreciate our hard work – but I didn’t know any other way to give feedback as a manager. When I discovered the benefits of working with the ways people’s brain are wired to perform at their best, I set off to complete my Masters in Applied Positive Psychology, so I could learn everything possible about taking a strengths approach in workplaces. But as it turns out, despite all the research and tools that my studies gave me, implementing a strengths-based approach wasn’t as easy as I thought it would be. I didn’t understand that it wasn’t enough to just have people complete a strengths assessment tool and give them permission to do more of what they did best. I didn’t understand that without the resources and practical guidance I needed to recruit people for their strengths, have strength development conversations with my team members, map my team’s strengths, and give on-the-spot strengths feedback that an assessment tool only takes you a small step forward. The Complete Strengths Leader’s Toolbox is a collection of step-by-step guides and done-for-you playsheets, templates, and examples that you can steal with pride and use to help your team and your organization truly become strengths-focused. Based on the latest evidence-based approaches to improve people’s levels of confidence, engagement, performance and wellbeing, this practical, easy-to-implement toolbox has been created for HR professionals, team leaders, consultants and coaches to help bring out the best in people in workplaces. Designed for use with the VIA Survey, Gallup StrengthsFinder or any other strengths assessment tools, the toolbox provides everything you need to teach your people about the benefits of intelligently developing their strengths, to helping leaders and teams fuse their strengths to improve bottom-line business outcomes and aligning people management processes to be more strengths-focused to help you lower turnover and attract the best talent. This five-part podcast series – complete with cheat sheets and real-world challenges – gives you evidence-based, practical approaches to discover and develop your strengths each day at work and help others to do the same. Delivered by Michelle McQuaid and Elise Morris the episodes include: discovering your neurological superpowers, understanding your strengths, developing your strengths intelligently, spotting the superpowers in others and fusing your superpowers in teams. Are you fed up with hiring the wrong people? Stop wasting your time and money on bad hires and get the best-practice examples and templates you need to write strengths-focused job descriptions, recruitment ads and interview guides to attract and hire the best people for your organization. Studies have repeatedly found the best performing leaders focus on developing their people’s strengths, so this toolbox gives you the cheat sheets and templates you need to help leaders set strengths-focused development plans, have strengths-based performance reviews and even navigate strengths-led performance management conversations to bring out the best in their teams. Can your team members easily name each other’s strengths? If you can’t confidently answer ‘yes’, this toolbox contains more than ten different exercises to help your teams start spotting each other’s strengths, understand how they can align and complement their strengths to improve their performance, navigate strength collisions and give each other regular and effective strengths-feedback. We’ll walk you through the evidence-based process of job crafting and give you the tools your people need to help them take responsibility for aligning their daily tasks to their strengths, and improve their levels of motivation, performance and satisfaction at work. As soon as you sign up, you’ll get access to the complete series right away. That means all the audio recordings, introductory guide, step-by-step videos, playsheets, templates, and other tools to help you bring out the best in your people. You can download, print, re-brand and steal-with-pride all the materials in this toolbox to help others do more of what they do best each day. You’ll have lifetime access to the entire toolbox, so you’ll always have everything right at your fingertips when you need it. This is an instantly accessible, digital product – not a live class – so there’s no need to be on the phone or online at a certain time. There’s also no pressure to keep up with a certain timetable, because you can go through the individual components and resources at your own pace. And you don’t have to wait for content to be released. Everything is immediately available, so you can set the pace you want. A business case for being strengths-focused as a leader, to illustrate the enormous benefits of growing a strengths-based team culture. A guide that explains the basics of strengths development, so you know exactly how to find and develop your greatest strengths, and those of your team members. A review of popular strengths assessment tools, so you can choose the tool that works for your people and your organization. A guide and cheat sheet for each of the strengths from the VIA Survey, so you can help your team members understand and harness their greatest strengths. Harness your people’s neurological superpowers to improvement performance and wellbeing. The five-part “Developing Your Strengths” podcast series complete with cheat sheets and challenges. 4X step-by-step guides and short videos for each toolbox to explain how your workplace can create these changes. 15X playsheets for evidence-based exercises that can be run with your teams. 10X best practice examples and done-for-you templates that you can download, print and steal with pride to immediately apply what you’re learning. The business case for focusing on strengths development in workplaces. The review of popular strengths assessment tools. The VIA Survey strengths cheat sheet and summaries. Lifetime access to the entire toolbox, so you can refer back to the videos, podcasts, playsheets, tools, and resources at any time. We’re sure you’re going to find the Complete Strengths Leader’s Toolbox enormously valuable – and we’re willing to back it up with a hassle-free guarantee! If the toolboxes and podcast series don’t give you the practical steps you need to become an effective strengths leader, just email our support team within 14 days, and we’ll send you a full refund. Create a work culture where people love their jobs and can’t wait to come to work each day. Boost your teams’ engagement, performance and wellbeing. Bring out the best in yourself and others by helping people to harness their neurological superpowers. If you’re ready to unleash the strengths of your team, it’s my heartfelt hope that you grab your copy of our Complete Strengths Leader’s Toolbox today.